When Is It OK For A Sick Child To Go Back To School? With flu season in full swing, many parents are keeping their children at home to let them rest and heal up from the season’s nagging illness. But how can parents know when the time is right to send their flu-stricken – or any other virus or disease – kids back to school and their normal daily routines? The two main criteria that need to be met for a child to return to school or child care after developing an illness are: 1) Is the child feeling well enough to participate in the usual activities of the class (without requiring too much attention from the teacher), and 2) Is the child free of any harmful and/or preventable infectious disease? 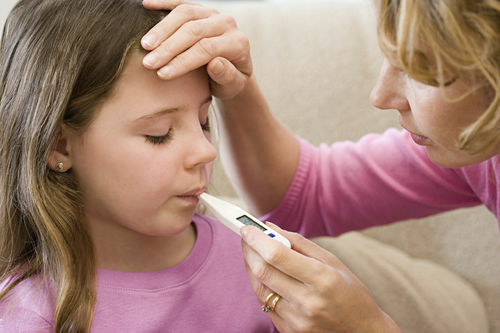 Most serious illnesses (examples – pneumonia, meningitis, flu, and dehydration) will make a child look sick and act sick; so if a child truly needs to be away from school, the answer to the first question will keep him home. It’s the second question that is tricky. Many infectious diseases are mild illnesses that cannot realistically be prevented, such as colds and molluscum warts. Some more serious bacterial infections, such as ear infections and sinusitis, are actually not contagious. Children who are chronic carriers of viruses such as Hepatitis C carry an extremely low risk of transmitting illness, so they are not generally excluded. The American Academy of Pediatrics publishes an invaluable book called “Managing Infectious Diseases in Child Care and Schools,” which I rely on often. Parents and school nurses may be surprised to learn that the AAP no longer recommends exclusion for most cases of pink eye (it’s usually just caused by the same germs that give us colds and ear/sinus infections, and we don’t exclude for those). Children with lice can wait to be sent home until the end of the day, and no-nit policies aren’t recommended, because they aren’t effective. Common illnesses which do require exclusion until treated or resolved are Strep throat, Impetigo, Scabies, vomiting, and uncontrolled diarrhea. When in doubt, ask your pediatrician for advice/clearance. Many schools now require, appropriately or not, a doctor’s excuse after an absence. Dr. Ashley Lucas is a pediatrician with the Our Lady of the Lake Physician’s Group.